Goals for rectal cancer surgery include complete tumor resection to minimize the risk of relapse and maintenance of quality of life. 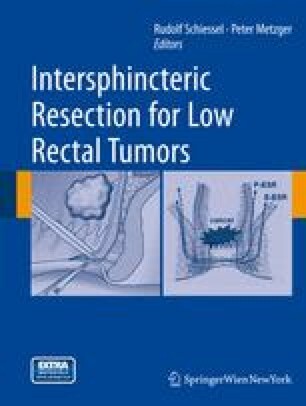 Local control and survival of patients with rectal cancer have improved with the development of surgical techniques and combined adjuvant therapy. The advent of double-stapling techniques and coloanal anastomosis has facilitated the construction of very low rectal anastomosis.